Allow us to introduce you... These are work shoes for personalities! 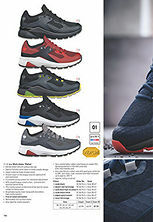 This is where sports meets perfect non-slip features and optimum wearing comfort. 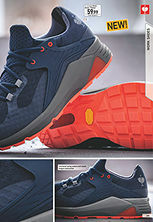 A wealth of features lie behind this trendy sneaker look: a Vibram sole for a top grip, practical dirt protection thanks to the closed strap and very pleasant to walk in thanks to the higher sole structure. A work shoe that can do more - and still look good at the same time.